The requirement of candidates always remain constant, no matter how many people engage themselves into start-ups and entrepreneurship. 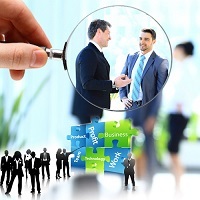 Each company requires skilled executives who can help them in building their business. As one of the leading placement agencies, xCess Manpower is providing excellent services for executive search requirements of various organizations. We search for the right executives strategically by understanding your requirements. In addition to this, we assist our executives in getting new job opportunities in their preferred field. Thus, feel free to contact us anytime.